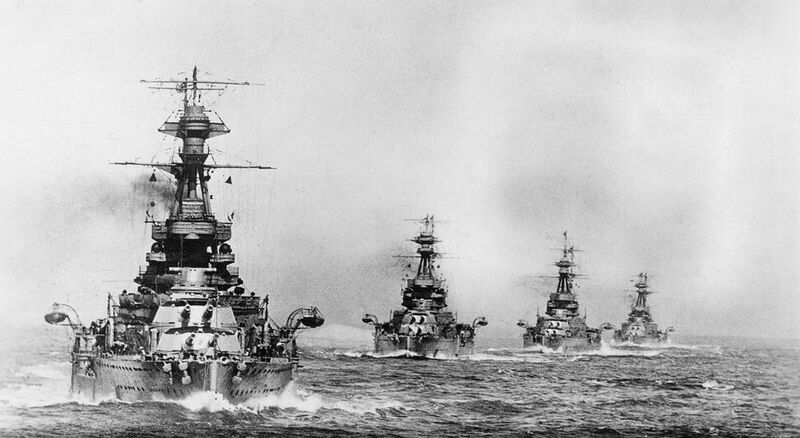 View of Revenge class battleships (launched 1914-1916) at sea in line ahead, taken circa 1918. This R Class Battleships in Line Ahead Art Print is created using state of the art, industry leading Digital printers. The result - a stunning reproduction at an affordable price.